Summer time is here and what better way to enjoy a summers night than by hosting a fabulous party. Your friends are coming over for dinner, and you’re dying to impress. 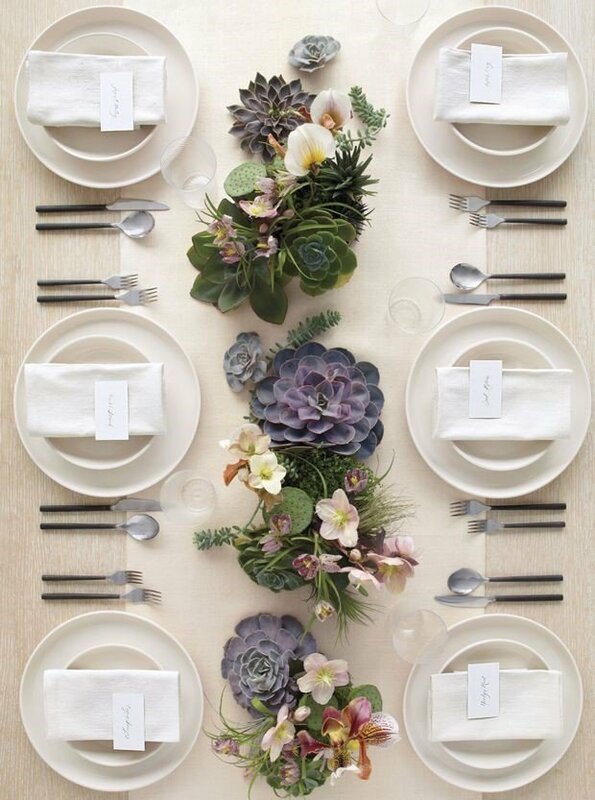 Shock and awe your guests by following these tips and setting one epic table. Have you ever seen a soda bottle, saran-wrapped dish, or paper towel on Martha Stewart’s dinner table? NO- so forget putting disposables on the table and pour those cocktails in glasses and plate your food in the kitchen. Inform your guests about the party by using an invitation that is sure to get them talking and excited. It’s always a good idea to make sure you let them know exactly what time they will be eating and or if there will be horderves, a full plated meal, drinks etc. Let your guests know what the attire is so no one shows up feeling left out or out of place. Also it’s never a bad idea to include rain plans as well as parking directions if you are working with limited space. Go green and email those invites out! As you start to put your seating chart together, you realize that you have one patio table with 5 chairs and 25 guests. Grab dining room chairs, stools, benches or you can always rent chairs for a lot less than you might think. Check out our Studio M Lounge site for great chair rentals and ideas. An underwhelming floral arrangement is a red flag for non-editorial dinner party. Now since we are here to impress and no matter what your budget, fill the space with multiple arrangements, a long garland, or dozens of bud vases instead of one just one small arrangement. If you’re outside while it’s getting dark, your eyes will adjust. Just hang strings of lights on the deck, the fence, even tree branches, and add some hurricane lanterns or tealights. I recommend globe string lights, elegant round bulbs that give off a warm glow. 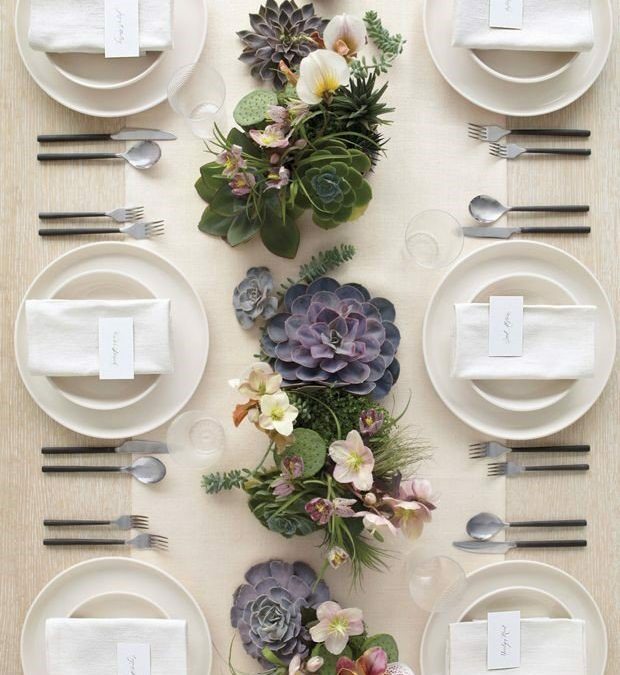 Your guests will glow when you dim the chandelier, light candlesticks, and also place votives all around the room. Since a dinner party is usually the best place to strike up a conversation, for those who might be at a loss for words, place a conversation piece or two on the table. This could be a cool sculpture or even a natural element like a geode. Just remember to have fun and put out that fine china. Don’t worry your friends will be on their best behavior and will be talking about your party all week long!